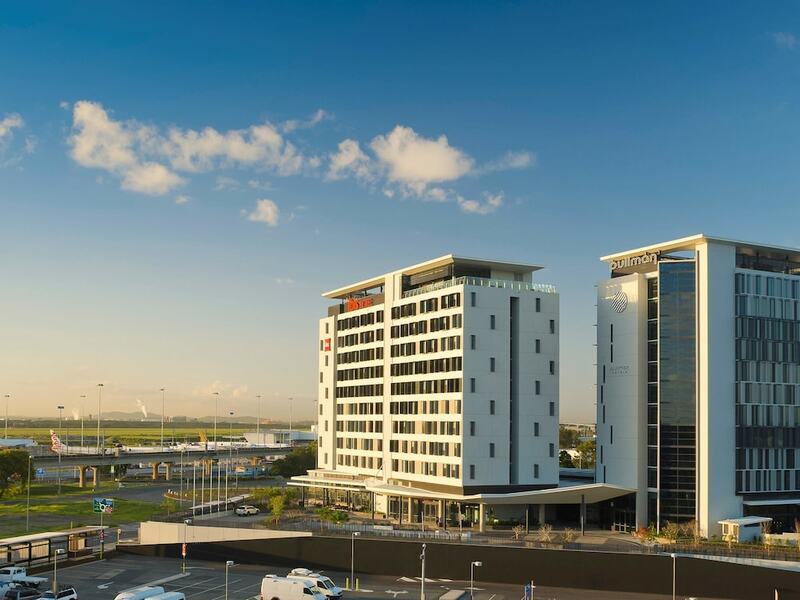 When you stay at ibis Brisbane Airport Hotel in Brisbane Airport, you'll be connected to the airport, within a 15-minute drive of Brisbane Entertainment Centre and Portside Wharf. This hotel is 6.9 mi (11.2 km) from Brisbane Cruise Terminal and 10.1 mi (16.3 km) from Roma Street Parkland. The hotel offers a restaurant. A bar/lounge is on site where guests can unwind with a drink. Wireless Internet access is available for a surcharge. This business-friendly hotel also offers concierge services, dry cleaning/laundry services, and express check-out. Parking is available onsite for a surcharge. Ibis Brisbane Airport Hotel is a smoke-free property. Continental breakfasts are available for a surcharge and are served each morning between 5:30 AM and 10 AM. Cribb Island Beach Club - This restaurant serves breakfast, lunch, and dinner. Open daily.